Are you Smart, Beautiful & Intelligent? Pay the sum of #5000 @ any of the Diamond Bank. Whatsapp evidence of payment to the number below and prepare for audition!!! Date for audition will be communicated as soon as application closes. 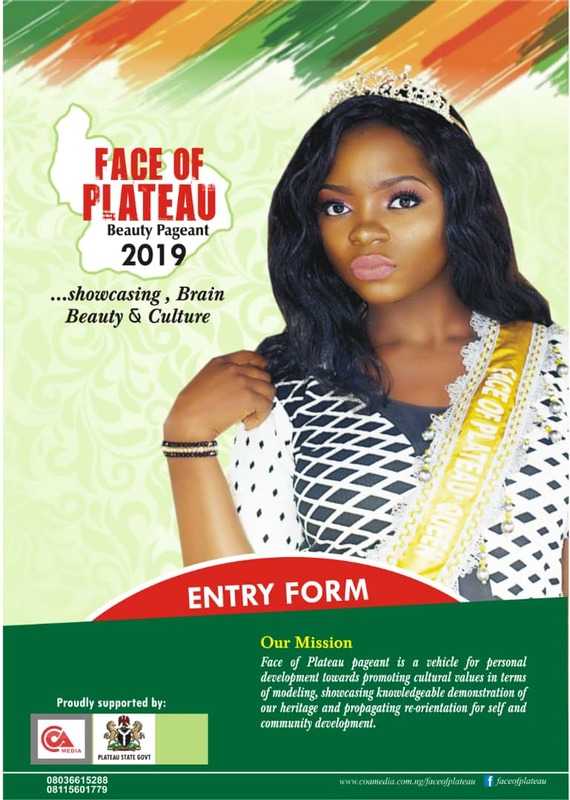 There has been no response to "FACE OF PLATEAU (SEASON 4) HOW TO PARTICIPATE..."